Weekend off- yippee!!! The weather is freezing and it is snowing (what’s the date again??? ), but the flat is full of food and DVD’s so we are hibernating for the weekend. First up lunch…. 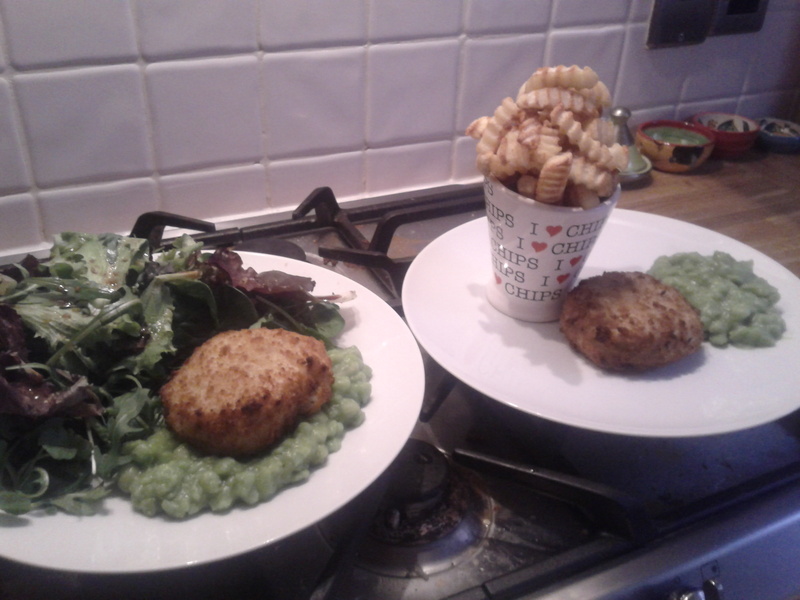 and it’s a tale of 2 fishcakes! Guess which one is mine! The fishcakes are from the fish counter at work and are consistently good- lots of chunky fish on the inside and crunchy on the outside. I do have a soft spot for mushy peas, I must admit it (sorry Marie- actually Marie, I know you hate peas but is that mushy ones as well?). Crinkly chips for Colin in his cool chip holder. For dinner I had 2 lovely dry-aged sirloin steaks which I marinaded in a chimichurri style- paprika, cumin, lemon juice, parsley, garlic- and then griddled the way we like them. 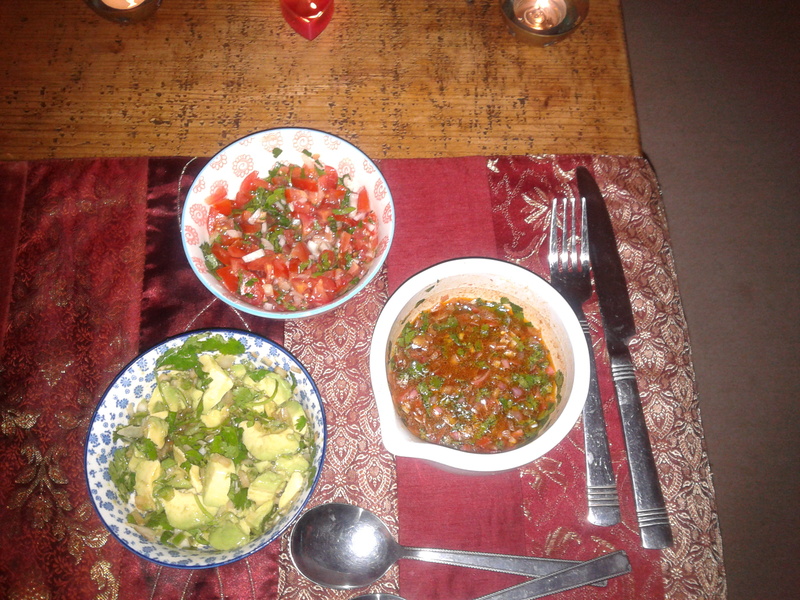 With them I served some side dishes: a cherry tomato salsa, a chunky guacamole and some spicy little potato men. A really tasty dinner. It’s been a lovely day off, snuggled up on the sofa with a blanket and Skyfall on DVD!